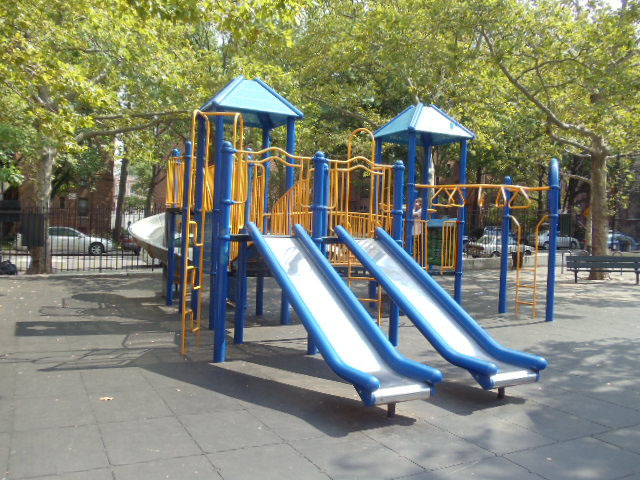 This playground takes its name from Northern Boulevard, which was originally named Jackson Avenue after John C. Jackson (1809-1889). Jackson was President of the Hunter’s Point, Newtown and Flushing Turnpike Company, which built Jackson Avenue in the early 1860s. In 1921, Jackson Avenue was renamed Northern Boulevard because of its position on the north shore of Queens. Northern Boulevard lies within the bounds of the historic northwestern Queens neighborhood of Jackson Heights. The area originally consisted of farmland owned by the Leveriche and Barclay families. It was considered part of Newtown until the Queensboro Realty Company, a syndicate of bankers and real-estate agents, bought the land in 1909. In addition, the opening of the Queensboro Bridge that same year, and the elevated line which opened in May 1917 with four stations in Jackson Heights, further attracted developers. The neighborhood is named both after Jackson Avenue and the high ground that lies within the southern portion of the area. The City of New York acquired this parcel for the Board of Education in 1951. The property was conveyed to Parks on November 20, 1952, and Parks immediately entered into a management agreement with the Board of Education. 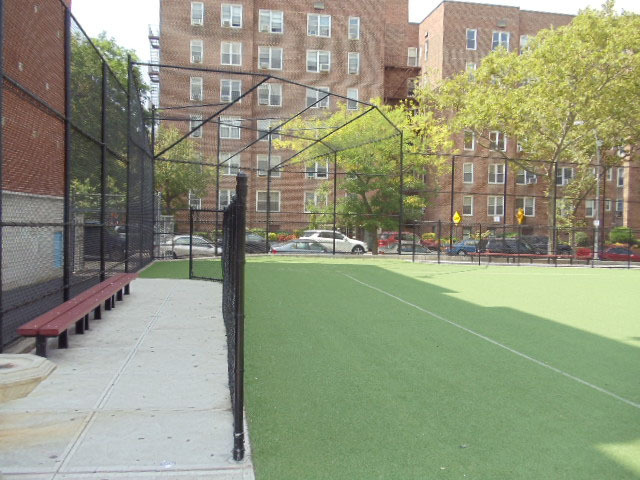 Bounded by 93rd Street and Northern Boulevard, this park is a jointly operated playground, co-run by the Board of Education and Parks. 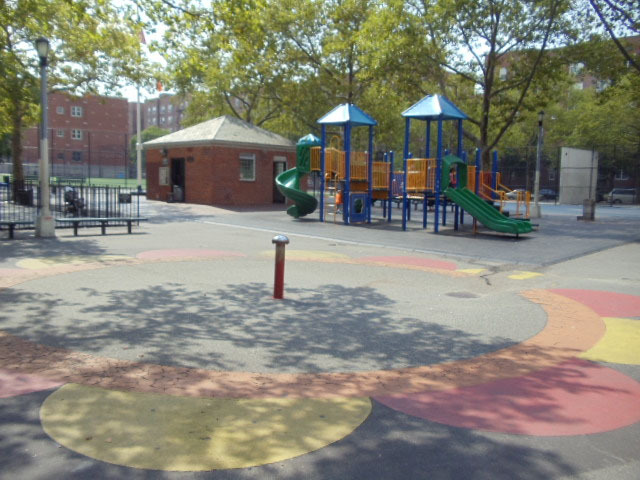 On November 11, 1960, this playground opened as P.S. 149 Playground because of its affiliation with adjoining P.S. 149, now called Christa McAuliffe P.S. 149 after the teacher who lost her life in the Space Shuttle Challenger disaster in 1986. 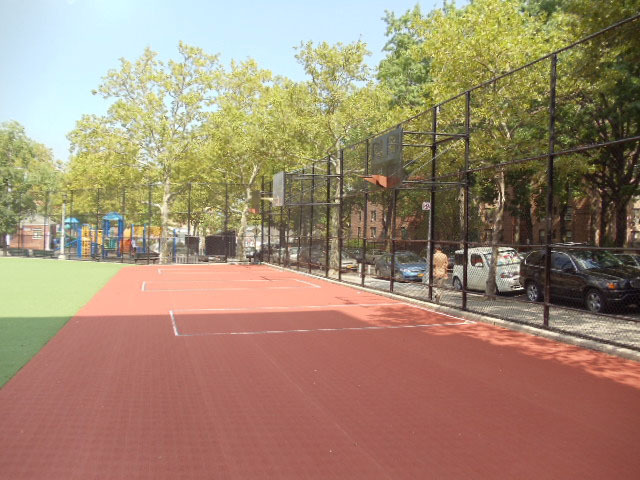 Upon opening, the park was equipped with a roller-skating area, a baseball field, basketball, handball, volleyball, paddle tennis, and shuffleboard courts, slides, swings, see-saws, gymnastic equipment, a sandpit, checkerboard tables, gardens, and a comfort station. 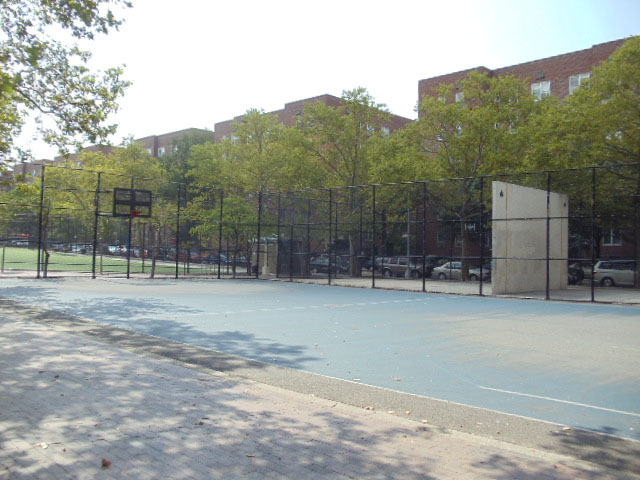 Parks renamed this playground 93rd Street Playground in 1985, and then Northern Playground in 1986.